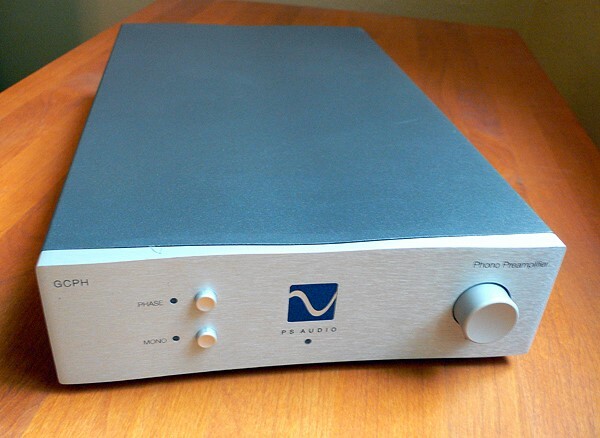 I have two PS Audio GCPH phono preamps (one in use in each system) and I think only a few phono preamps can better this in its price range (about 1100 dollars when new). I would like to sell one of my GCPH units, this is the earliest one, meaning it is from the first years sold, and does not have the later remote control option. It has a mono switch, a phase reversal switch, and a gain circuit so that it can be used directly with a power amplifier without an additional preamp. Quite a nice machine. Very adjustable gain and impedance controls for both MM and MC cartridges. Rich and musical sound. Very quiet. Fully balanced, with balanced and single-ended output. This item is in excellent condition and is available for 500 dollars including shipping within the continental USA. If interested, please contact me at lonjazz@yahoo.com Thanks! The GCPH has sold. Thanks!